The self-proclaimed “Words Largest Student Film Festival” is collaborating with SUPERB again this year to bring you the best short films Berkeley students have to offer. 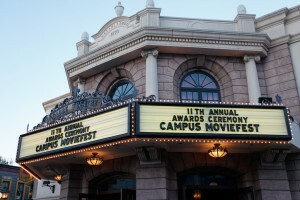 The Campus Moviefest lends students from over 90 schools computers, cameras and equipment to make their own short films. They are given one week to write, film, direct and edit their masterpieces. Don’t miss the extravaganza TONIGHT at 7 p.m. in Wheeler Auditorium for a screening of the top 16 short films made by Cal students. It’s $3 with your Cal ID, $5 for general admission. Prizes for Best Picture, Best Drama and Best Comedy will be awarded to contestants tonight, voted on by students! So shake off your crazy week of tests and papers, dress to the nines and get ready to vote for the best of the best. Image source: lenovophotolibrary under Creative Commons.